Signing up with social is super quick. No extra passwords to remember – no brain fail. Don’t worry, we’d never share any of your data or post anything on your behalf. A side return extension will make the most of your space and update the layout of your home. We answer some common questions about this kind of project. A side return extension is a popular home improvement. 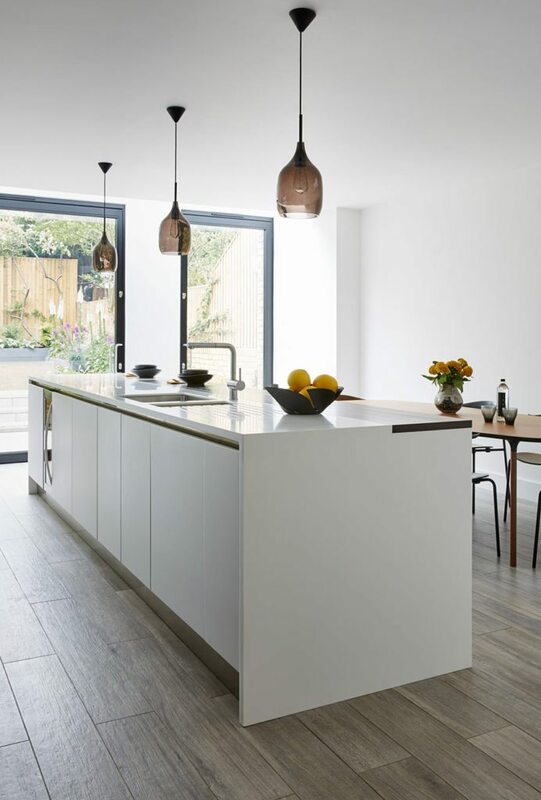 Not only does it create extra space (ideal if your current kitchen is the size of a postage stamp), but it can also add significant value to your home. Plus, an extension is the perfect compromise if you’re looking to upsize but aren’t keen to move. John Lewis of Hungerford worked with Nicola George of Nicola George Project Management to replace an existing side return extension with another of a similar footprint. The Pure Kitchen range from John Lewis of Hungerford, priced from £17,500. What is a side return extension? 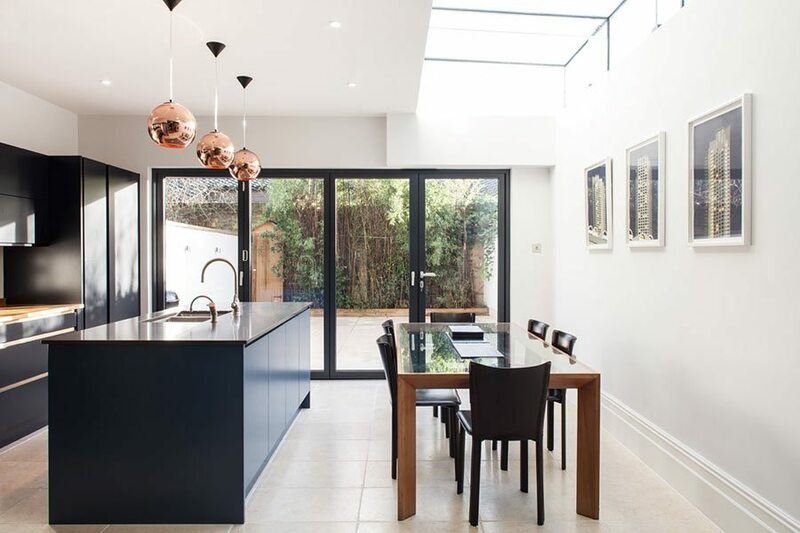 If your period terrace or semi-detached house has retained its original kitchen, this will probably be a small and narrow space that’s separate from the main living rooms and tucked away in a rear projection known as a closet wing or outrigger. The result is an L-shaped garden and a strip of land at the side of the house – the side return. This interior layout often doesn’t work for 21st century living, which is why many homeowners are opting to extend the kitchen into the side return. 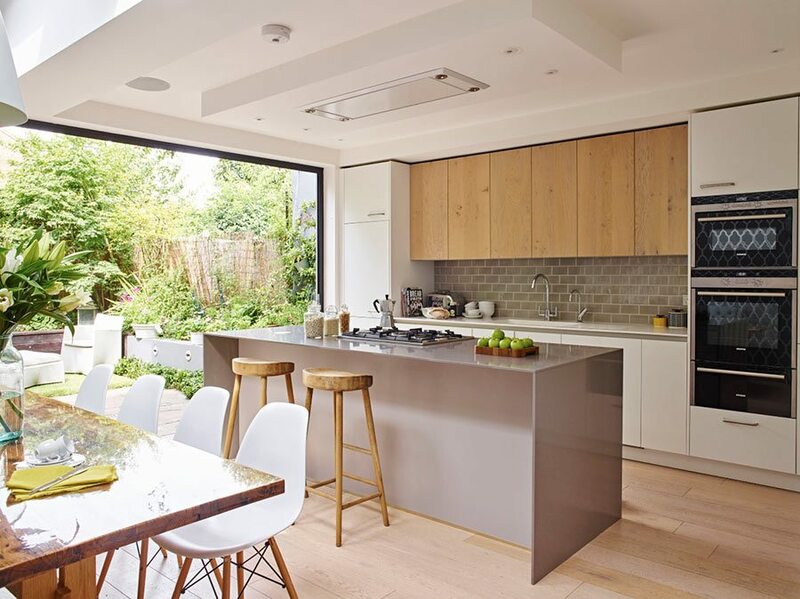 By reclaiming this space, you can create an open-plan kitchen and family room without sacrificing much of the garden. Extending a period property makes it more user friendly and more saleable. Use our tips to make the most of the space in and around your home. What are the drawbacks and how can you offset them? In the days before bright electric lighting and central heating, a side return was a great way to bring light and ventilation into the middle of the house. That means that if you extend into it, you could lose natural light. However, you can compensate for this with large Velux windows on a pitched roof or roof lanterns on a flat roof. A partially or fully glazed roof is also very effective. 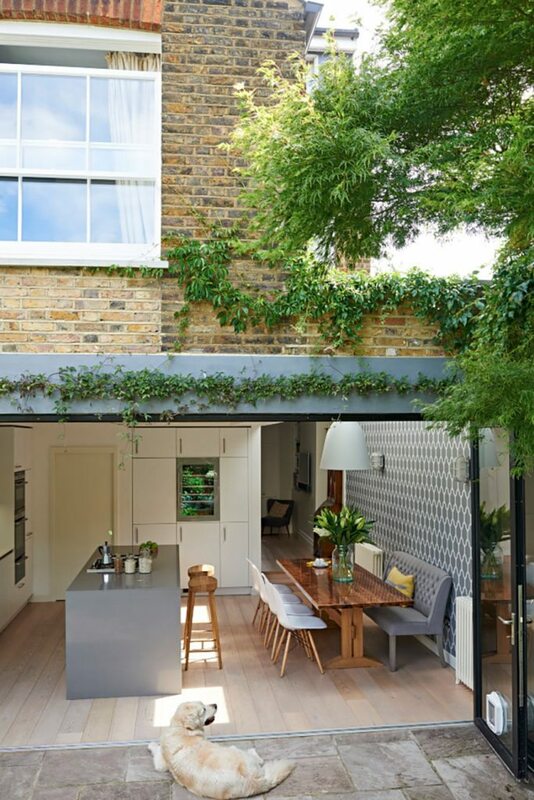 You could also consider sliding or bi-folding doors to create a seamless connection between the house and the garden. Indoor-outdoor kitchens work best when they connect seamlessly. Use these practical tips from our panel of experts to choose the right doors, floors and textures for your space. John Lewis of Hungerford added large bi-fold doors along the back wall of this side return extension to increase the light into the room and lend focus to the outside space. The Pure Kitchen range from John Lewis of Hungerford, priced from £17,500. What planning permission do I need? A side return extension is considered to be permitted development (PD) — in other words, it doesn’t need planning permission as long as it satisfies certain criteria. First and foremost, it must be attached to a house (flats and maisonettes don’t qualify). Plus, PD rights may be restricted if your home is in a conservation area. Speak to your architect about this or consult your local council directly. To qualify for PD, a side return rear extension must not extend beyond the rear wall of the original house by more than three metres (if it’s an attached house) or by four metres (if it’s a detached house). Until 30 May 2019, these limits are doubled for both attached and detached houses. A side return extension must be single storey (no more than four metres high) and must not exceed more than half the area of land around the original house (as it was first built or as it stood on 1 July 1948 if it was built before that date). It must also be no wider than half the width of the original house. If the extension is within two metres of a boundary, maximum eaves height should be no higher than three metres to be permitted development. As well as satisfying these conditions, you’ll need to notify the local authority of your proposal and formally consult neighbours. If there are objections, the proposal might not be allowed, so it’s wise to seek advice before getting started. Want to know more? Our beginner’s guide will walk you through the planning process. What other permissions do I need? The majority of side return extensions require approval under building regulations, which cover things such as drainage, electrics, external walls and roofs. 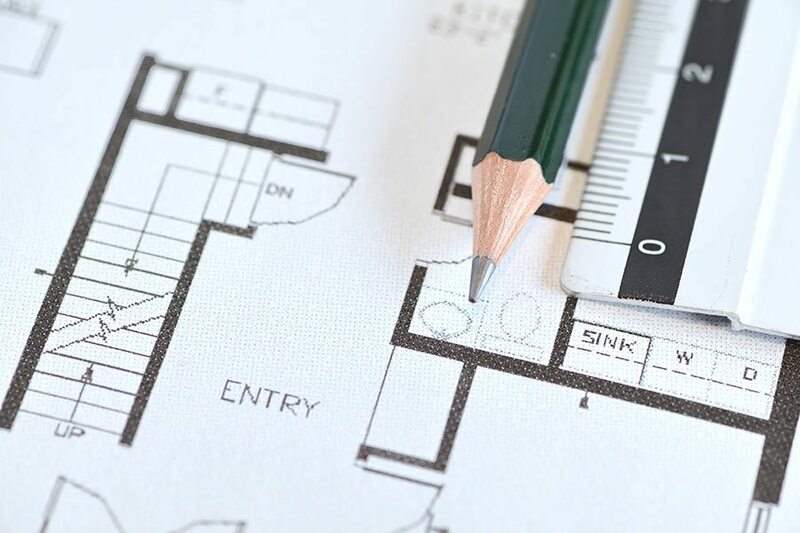 You can apply for building regulations approval from your local authority building control service by submitting a full plans application or a building notice. A full plans application must be submitted before any work starts to ensure that any problems are resolved before the build begins. In your application, you’ll need to include a set of planning drawings, plus a set of construction drawings detailing how the side return is to be built. Your local authority will then check your plans and consult any appropriate authorities (such as fire and sewerage). You can expect a decision within five weeks. Building notices are quicker and less detailed than the full plans applications. They’re designed to allow small projects to get underway quickly: work can usually start within days of basic details of the proposal being submitted. However, you must be confident that the work will comply with building regulations or you’re at risk of having to correct any work you carry out. 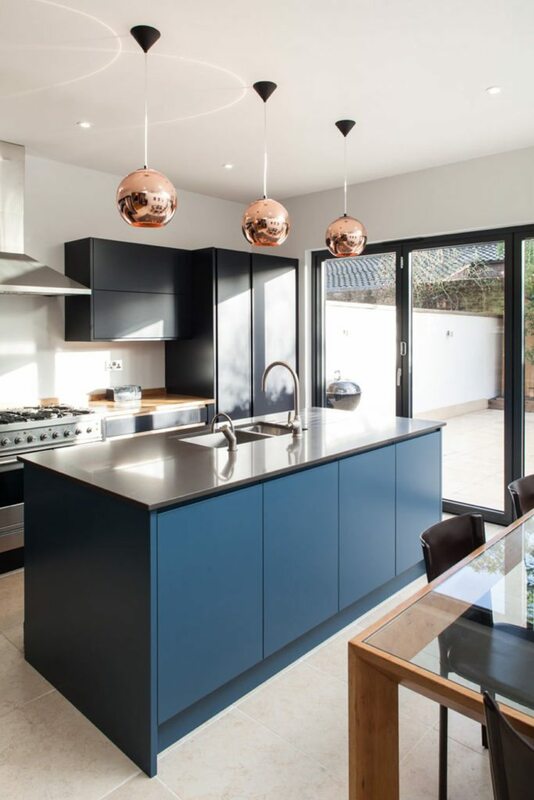 This Edwardian terrace was extended to the side and rear to house this super contemporary Record Cucine kitchen featuring a mixture of materials to help ground the design. Designed by Hub Kitchens, expect to spend from £40,000 for something similar. What happens during the build? Building work needs to be inspected at key stages to ensure that the work complies with building regulations. If you’re employing a builder, it’s usually their responsibility to organise this, but you should always confirm this at the get-go. Also bear in mind that as the owner of the building, it’s ultimately you who may be served with an enforcement notice if the work doesn’t comply with the regulations. 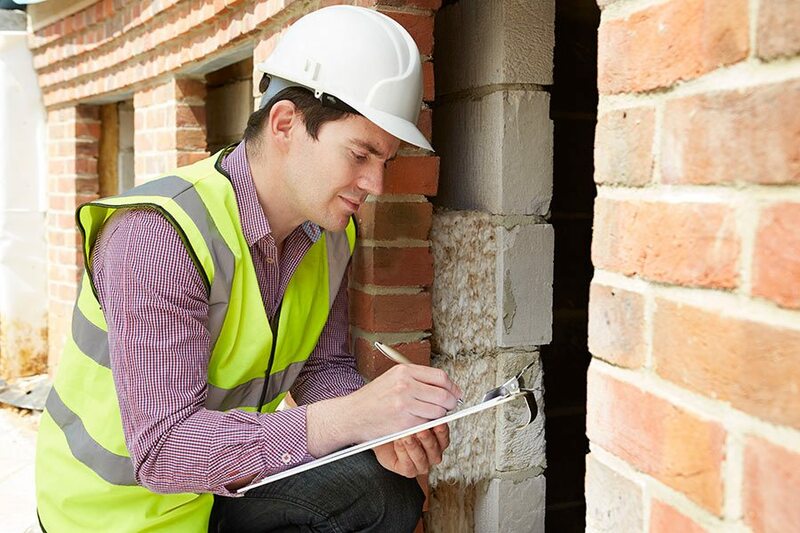 It’s the job of the local authority’s building inspector or an approved independent inspector to check that building regulations have been met. Once again, if you don’t get the work checked at the relevant stages, you run the risk of having to correct it. Make sure your renovation runs smoothly with our guide to finding the right people for your project. How does the Party Wall Act affect my build? Under the Party Wall Act, you must give notice to your neighbours if you want to carry out any building work near or on your shared property boundary (the ‘party wall’). This must be done between two months and a year before you plan to start the work. Your neighbour then has 14 days to assess how the side return extension will affect their property and to respond in writing. You can download a template of a Party Structure Notice here. If you can’t reach an agreement with your neighbour, the next step is to appoint a surveyor who will draw up a party wall agreement. Alternatively, each neighbour can appoint a surveyor to draw up the agreement together. Usually the building owner will pay the surveyors’ costs. 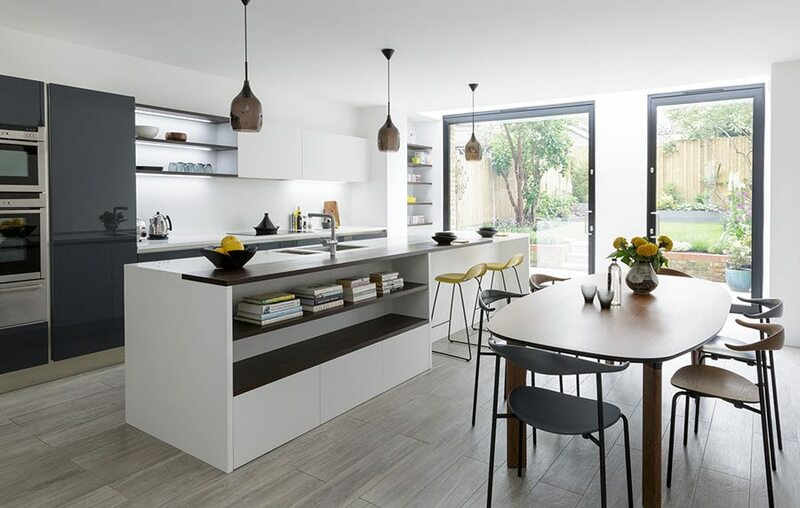 The star of this kitchen extension is the island unit, adding a serious dose of style and storage to the space. Designed by Hub Kitchens, the handleless units are from Record Cucine’s Ainoa range in a matt lacquered Bianco Ghiaccio finish. Prices start from £40,000. Who’s involved in the work? For a side return you’ll need a set of planning drawings that cover the layout and elevations, and a set of construction drawings that show how it’ll be built. These can be produced by either an architect or architectural designer. Ask friends and family for recommendations or find one through the Royal Institute of British Architects. Ask around for recommendations of a reliable builder (your architect should be able to make suggestions) or check out The Federation of Master Builders. As with all projects, aim to get at least three quotes to get a good indication of market rate. And remember: an estimate isn’t the same as a quote: the latter must always be put in writing. Property Price Advice is not responsible for the content of external sites. free online valuation of your property? Simply enter your postcode to begin.